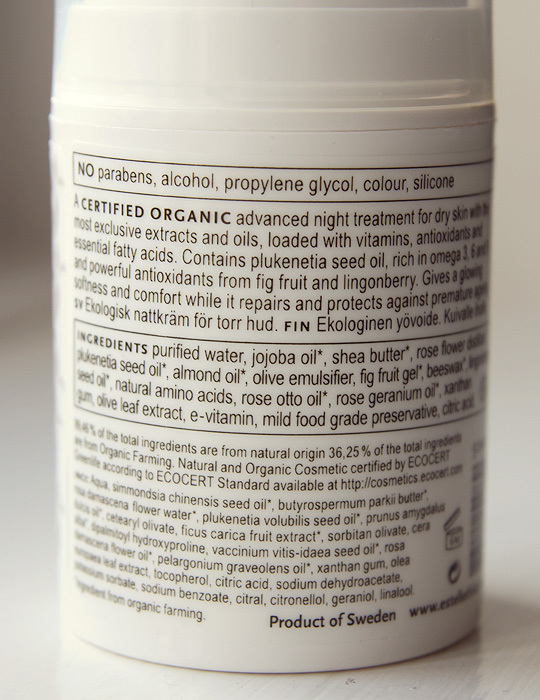 I’ve been trying this ECOCERT certified night cream for the last month. It hails from Swedish brand Estelle & Thild who have recently launched in the UK exclusively at Urban Retreat in Harrods and online at Beautique.com. It’s one of those brands that exude loveliness… beautifully packaged, whimsical designs, natural ingredients and this night cream is no exception. 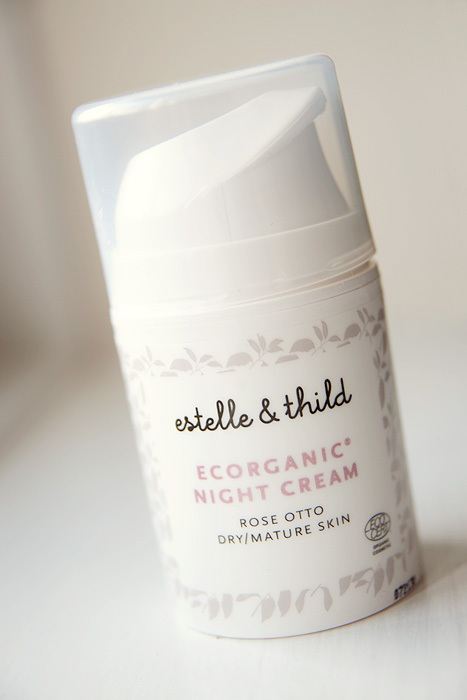 From the Estelle & Thild Rose Otto Age Prevent Line, the night cream* is rich and nourishing without sitting on the surface of my skin all night. I’m actually not convinced it’s quite rich enough for my skin in the winter but can’t deny that it’s pretty much the perfect formula for these warmer months. Not just any paint either, we’re talking gloss which is really a big shame because if it weren’t for this simple olfactory issue, I’d be tempted to give it top marks. I feel especially mean when you consider that the reason it smells like the inside of the Dulux factory is probably because it’s completely lacking in the crap that would otherwise synthetically scent it. I’ve been persevering with the smell simply because I like the results I’m seeing from daily use. 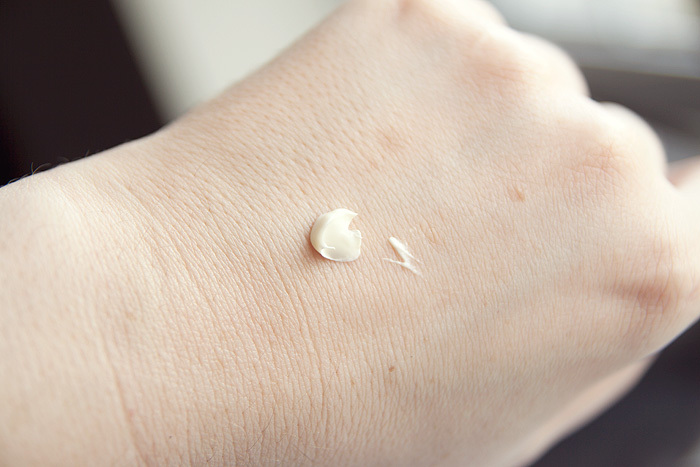 Upon waking, my skin tone is remarkably more even and although I can’t say I’ve seen any particular anti-aging benefits from it, I can tell that it’s a ‘calming’ formula for my reactive skin. I’ll be taking a closer look at the brand’s popular ‘baby’ line for when L’s eczema starts playing up this winter. Bleh, too bad it smelled bad. It seems promising though! I think I need to read a bit more slowly; I totally read the title as risotto night cream, and wondered how that could do the skin any good! the packaging looks so adorable though, I wondeer if it is worth it. I have such sensitive red skin, it could be good! Estelle & Thild is one the my favourite eco brands. They also make a Neroli scent and fragrance free lines. I use the fragrance free night and day cream at winter because for summer use they are just way too thick for my combination skin.